We began this adventure by selecting and purchasing a Porsche Macan S for our road trip of a life time and by developing an inspired travel itinerary for the entire month of September. 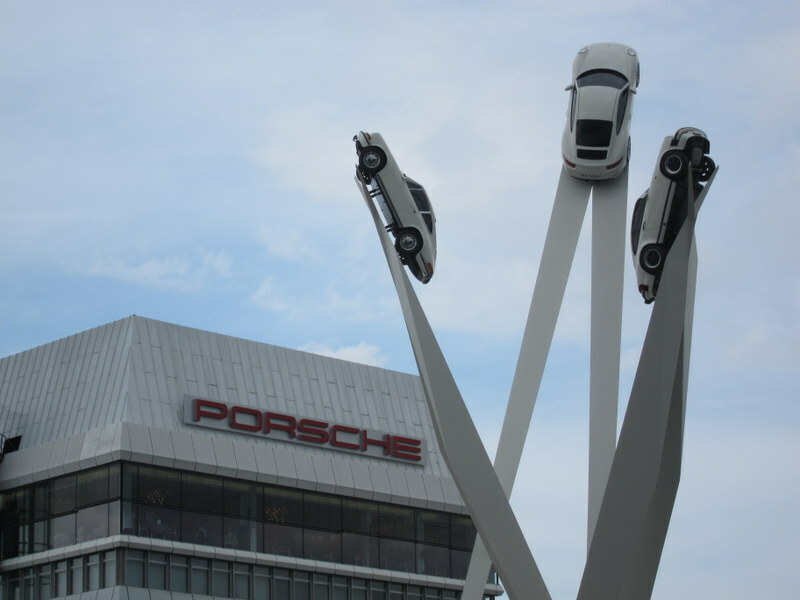 This segment of the series is focused on some last minute fine tuning, and the lead up to the “Big Day” event… picking up the car at the Porsche factory in Zuffenhausen Germany. Once an itinerary has been decided we traditionally step back and review it for the less obvious elements. Are there any components that we can take care of here at home before we step on the plane? Our logic is simple… get stuff here and save time there! Driving a car in Europe, a rental or your own, is going to require road tax stamps and/or toll. A suggestion is to purchase the mandatory road tax “vignettes” in advance via the www.tolltickets.com web page. They processed our order and had the stamps in our hands in less than seven days. Check your car rental agreement to find out if they are included… we used Hertz a few times and they were not included. You can also wait until you get there and purchase the stamps at the border crossings… your call and your time. In a pure Italian flair… Italy still uses paper tickets, toll booths and people to create bottlenecks where ever possible… viva Italia! Update your GPS device(s) with the latest version of their mapping software and bring an old-fashion tour book (sometimes there is no WI-FI access) and an actual paper map and highlight your driving routes. Secure tickets for unusual events such as a Zeppelin Airship Ride at Lake Konstanz, Germany or the Salzburg Marionette Theater for “The Sound of Music” performance in Austria or for special concerts or venues that are limited. They may not be available when you get there… arrange to pick them up at the box office or have them sent electronically. Carry-On luggage rules have changed so check your luggage to be in compliance with your particular airline and avoid the hassle when you get to the airport… some are strict and some are not. The flights were on time so that part of the adventure went as planned and Delta maintained its excellent reputation. Customs at the Stuttgart airport was extremely efficient and we cleared in a few minutes… note to fellow travelers; if possible consider smaller airports as points of entry and avoid arriving at the mega locations with their related hassle factors. We were off to a good start already and the taxi to hotel was fast and surprisingly less cost than we were told it was going to be. The Hotel Schlossgarten is one of Porsche’s selected hotels and has a great location in a park just adjacent to the old town. We just got off our flight (15+ hours of travel time) and it was 8:30 AM… you got the picture, we were anticipating a rough first day. The Hotel Schlossgarten accommodated our request for an early check-in and had our room ready and our love affair with this establishment just began. The entire staff, everybody, was exceptional, accommodating and sincerely considerate. We stayed a total of four nights and they were consistent throughout. 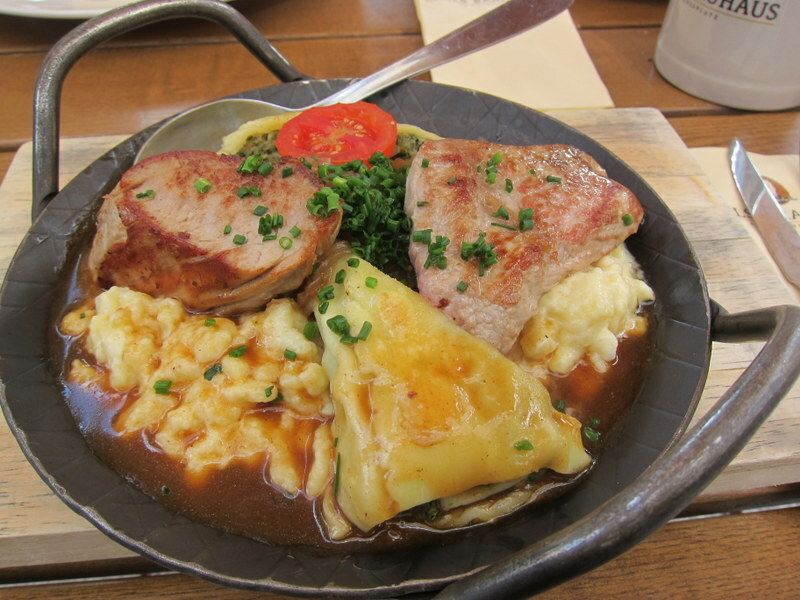 We did a little pre-trip research to find out about any local events and discovered that we were arriving just in time for the annual Wine Festival which is the lead in to the Octoberfest celebration near the end of the month. Turns out to be an exceptional way to unwind and refocus… car… what car? German wine is so underrated and we found excellent new varietals to enjoy with or without food. 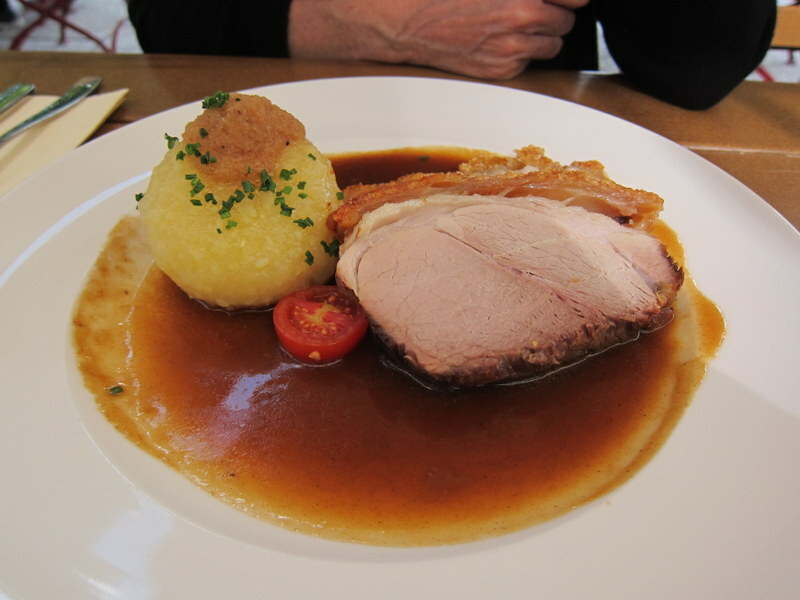 Speaking of food we enjoyed the region’s Swabian heritage. The festival had food vendors and wine tasting bars all over a twenty square block area. It took us two days to cover it but being diligent reporters we carried on for the team. We are almost completely over jet lag and functioning pretty well. The sumptuous breakfast buffet at the Hotel Schlossgarten helped tremendously. A great way to start the day. 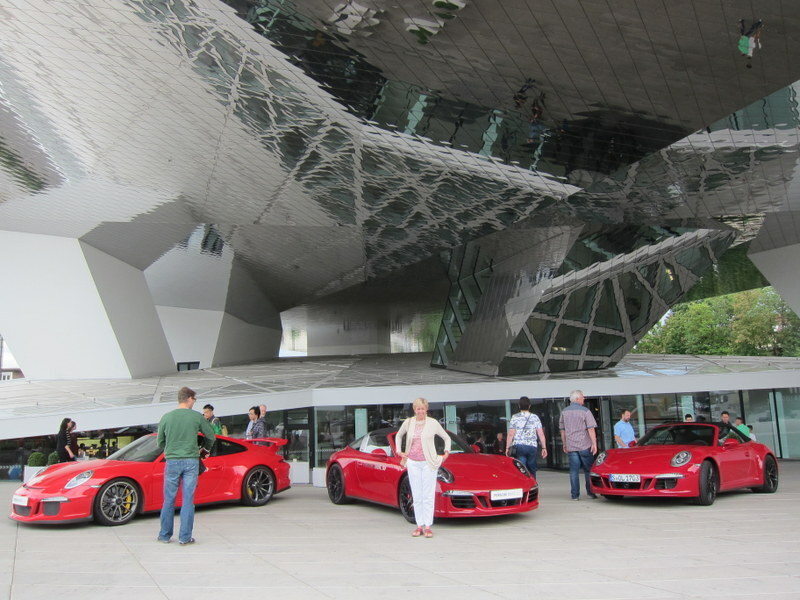 Porsche helped coordinate a museum tour for us and we had the good fortune of meeting up with lead guide, Henry Friedrich. His pride, enthusiasm, and knowledge of the Porsche organization and its product history, made our tour more of a journey into the culture behind this innovative engineering company and their sports cars. We got so involved in our conversation and the numerous exhibits that we over extended our “time slot” but Henry actually moved things around to accommodate our many questions… he made our visit very special for us… thank you Henry! We recommend “investing” in a private tour (60 Euro) as the personal touch and knowledge transfer more than offsets the cost. The Christophorus Restaurant offers an exceptional dining experience prepared by world famous chefs and the setting is on the second floor overlooking the Porsche Museum Exhibits and a panoramic view of Porscheplatz, all through an expansive glass facade on both sides of the dining room. A Porsche enthusiast’s best of both worlds…high end gourmet dining and being at ground zero where their favorite sports cars and engines are created. Please note that this one is on you but it is a great build up to the “big day”. We are finally about to realize a special event and are hours away from taking physical possession of a new Porsche for a road trip of a life time. All the planning and coordination leading up to this night has us so spun up that the thought of getting a good night’s sleep before the big day is pretty much out of the question. Reminded us of a few Christmas Eve nights of long, long ago… really, it did! Please follow us for Part Four of the series… The Big Day. This entry was posted in Uncategorized on October 14, 2015 by Bob and Janice Kollar. Thanks it is always encouraging to get positive feedback.